Stunning nearly new rowhouse with 3 bedrooms, 2.5 baths in John's Landing. Floorplan is open and airy with vaulted ceilings, skylights, built-in bookshelves, gleaming oak hardwood floors, tile floors, central air conditioning, 1,700 square feet. European style kitchen cabinets, tile counter-tops and all premium appliances. Full size laundry set. Private deck with greenspace views. Oversized double car garage with storage. 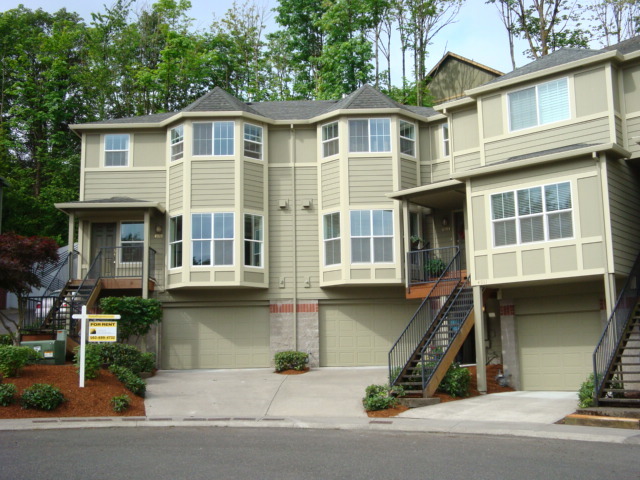 Just steps to Willamette River and moments to downtown Portland and OHSU campus.